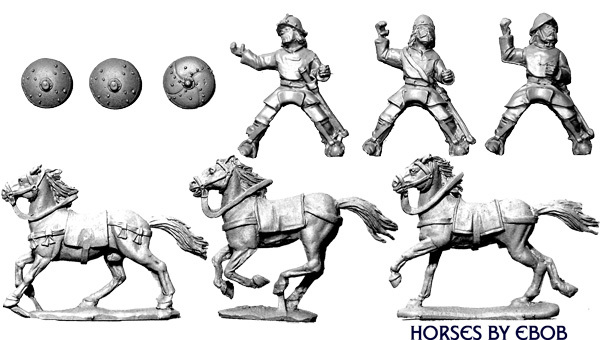 Models are 28mm sized, made of metal and supplied unpainted. Wire spear is not provided. You need to either fashion your own from wire, or purchase pack NSS102 from the modelling section.